As part of the free sample shipment from Graeters, I asked if I could try their cookie dough flavor which has just never made it to my area. 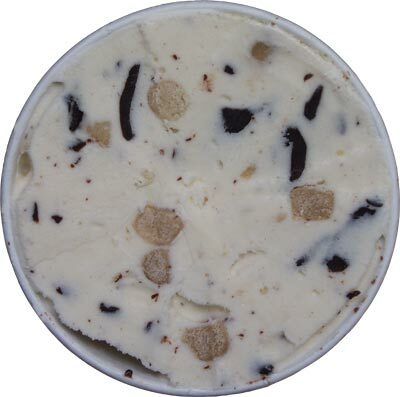 Now this isn't some crazy new concoction, no no, this is just old school cookie dough mixed in with their top notch french pot process ice cream, so I expect nothing but excellence here. Oh man, that looks perfect. Seriously. I'm stoked. Nice off-white base, cookie dough balls, nice chip pattern (nothing too big yet). Specks of everything everywhere. Must. Contain. Excitement. I dig in and it's excellent ofcourse. 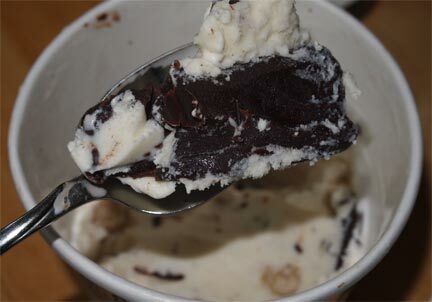 A nice, icy cold wave of ice cream and cookie dough chunks going over my taste buds. Cookie dough is about the size of a pea. They're not a crazy blast of flavor or sugar or dough, but instead they are nice and controlled like you would expect from Graeters. Oh Graeters, no one does chocolate like you do! Ok, every now and then the chocolate is a little crazy. The chocolate is surprisingly soft. Maybe reminiscent of a hollow chocolate bunny? For someone who buys a lot of mainstream cookie dough flavors, it is weird to not have that constant thudding and cracking of chocolate chips, but hey, like I said, no one does chocolate likes graeters. And my bowl is empty. Part of me wants more, but the larger part of me is happy and full. It's a nice flavor. It's not trying to be trendy or hip. It's saying "dude, I'm Graeter's, and I'm happy to just be classic and excellent at the same time". Hehehehe. What? Your pints don't talk to you? 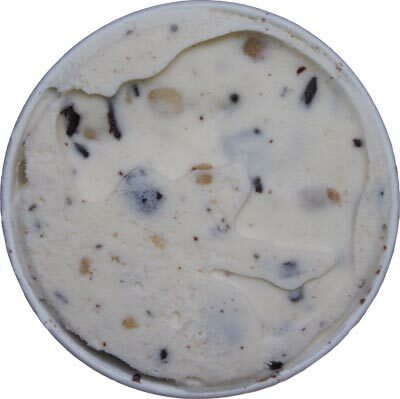 On Second Scoop: I sampled this one a few more times and I like it, my wife did to. I personally wouldn't mind a bit more flavor coming from the base, but that's not what they were going for here. Those living on the cutting edge of maple bacon sriracha bone marrow honeydew lime fresca ice cream may not dig it's simple nature, but hey, there's nothing wrong with the classics. A little local store in my area just started carrying Graeter's and I'm so excited. 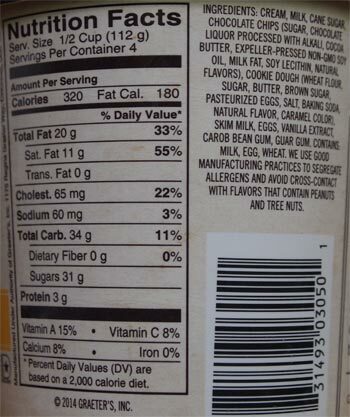 They don't have many flavors but I saw this one so will buy some tomorrow. 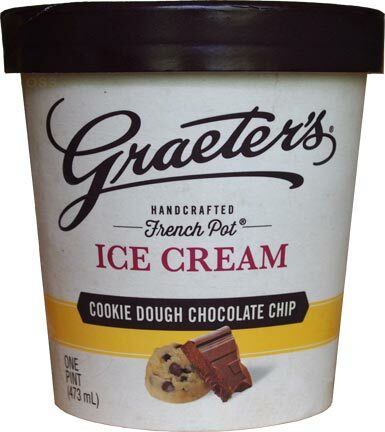 So I actually never heard of "Graeter's" until I read your blog...For a while all I would see were the vanilla pints and was disappointed that local stores didn't carry cookie dough. BUT I finally found cookie dough last week, and you are correct it is excellent ice cream (I imagine this is what "frozen custard" tastes like, right?) I would certainly buy it again. BUT it is not flawless. 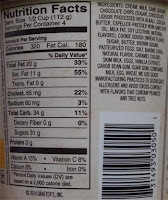 While I really loved the texture of the chocolate and how it wasn't an assault on my teeth (that other cookie dough flavors are guilty of) the size of the chunks and the fact that the base was vanilla, sometimes meant that the flavor of chocolate overpowered the cookie dough. I think if they kept the dough chunks and chocolate the same size and abudance, but put brown sugar or molasses into the base, the cookie dough flavor would've really popped. Still a great product just a minor nitpick. I may try their cookies and cream flavor. It's an excellent base ice cream, just not sure the giant chunks are for everyone. Graeters is great but for day to day stuff I definitely prefer smaller chips.